Hartland, New Brunswick -- On January 5th, Unionized Workers at Covered Bridge Potato Chips, in Hartland, New Brunswick, walked out on the job. Since then, it's been a very public back and forth between ownership and management and union organizers. 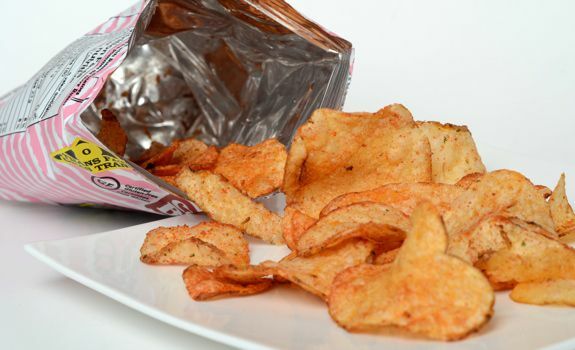 The union, local 1288p of the United Food and Commercial Workers, have called for a boycott of the chips until they reach their first collective agreement. But not all the unionized employees at Covered Bridge are on the picket line. Management contends that it's actually only 10 people. Management also claims that not all the employees at Covered Bridge are on minimum wage, as the union has claimed. On the other hand, union organizer Carl Flanagan contends that mangement and ownership are using intimidation techniques to keep unionized employees off the line, and that management is inflating its employees not on minimum wage statistics by including management level employees themselves. Due to constraints on our shoe-string website, this audio interview is listenable only on laptops or home computers. If you're on a tablet or cell phone, the attachment isn't missing, just wait until you get home to listen.